The potato is the 4th most important crop in the world, a major energy source in the diets of developing regions, and one of Canada’s most significant agri-food exports. The current growth rate for global crop production is 3% and likely to increase through the emergence of bio-products. The potato has been domesticated for more than a 1000 years. With the development of genomic technologies, we now have the opportunity to go back to ancient varieties, identify gene sequences responsible for improved tuber quality and health traits, and reintroduce these back into modern potatoes. The Canadian Potato Genome Project, led by Drs. Sharen Regan and Barry Flinn, was developed to identify genes responsible for tuber quality (after-cooking darkening, cold sweetening) and tuber health (late blight, common scab). 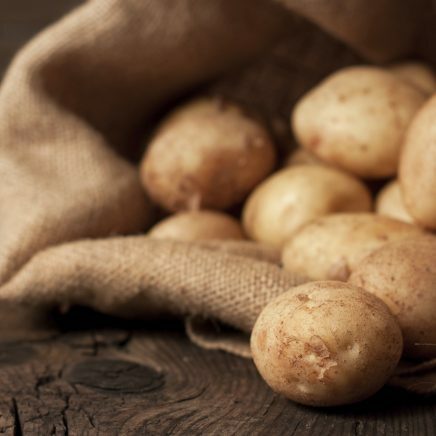 Through this project, a significant contribution was made to the identification of genes in potato, and the largest collection of genotypically unique transgenic potatoes in the world, resources that will contribute to improve potato quality and health. Along with other members of an international consortium, we helped develop a ‘44K microarray chip’ used to identify genes related to tuber quality and tuber health traits, such as common scab and late blight. The production of over 8,000 tagged mutants, the largest collection of genotypically unique transgenic potatoes in the world. An integrated GE3LS component that made significant advances in intellectual property (IP) and regulatory issues regarding genomics-assisted plant breeding. The development of these important genomic resources, and the new collaborations that have been developed as a direct result of this project both nationally and internationally, will ensure that we will make significant advances in improving potato tuber quality and health in the future. This project enabled 47 person years of employment and had a budget of $3.8 million. It was part of Genome Canada’s Competition II. The project funders included Genome Canada, The Atlantic Canada Opportunities Agency/Atlantic Innovation Fund and the New Brunswick Department of Agriculture, Fisheries and Agriculture.